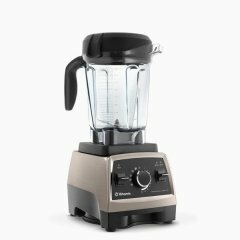 Considering this blender's average ranking of 93%, we are confident that the Vitamix A2500 is, as of now, Alphachooser's best Vitamix blender 2019. Furthermore, we think that our 237 reviews sampled from our sources give us a high confidence level (more on confidence levels) that pushes us to label it a "no-brainer best choice." With its star rating of 4.5 over 693 reviews, here is second best Vitamix blender. * This list is based on an in-depth analysis of hundreds of reviews from across the web. Expensive 64-ounce 2-HP blender with a noise-reducing design, a 7-year warranty, ice-crushing stainless-steel blades, and a BPA-free Tritan copolyester jar. Expensive BPA-free 64-ounce blender powered by a 2.2HP motor and backed by a 7-year warranty. A feature-rich kitchen blender with 10 speed variations, a 64-ounce BPA-free jar, a 2 HP motor, and an extended 7-year product warranty. 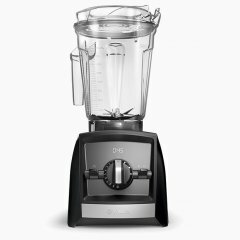 Basic-switched 64-ounce blender with a motor that peaks at 2 HP, a laser-cut stainless-steel blade and hammermill, a radial cooling system, and a not-frequently-seen 5-year warranty.